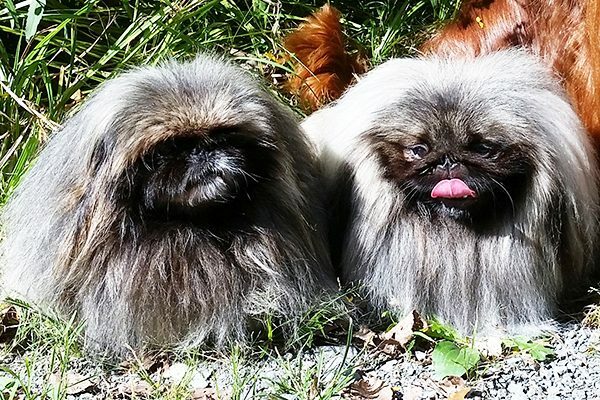 The Pekingese is a pretty independent dog breed. Photography courtesy Dian Thomas. Developed long ago in China, we were favored Imperial companions. At times carried in our owners’ sleeves, we were bred in diverse colors to coordinate with wardrobes. Today, you needn’t carry me often. I’m sturdier than many toy breeds, and I appreciate walks and outings. And while I love family time, I don’t commonly languish when you’re working. I’m naturally inclined to put my paws up, so a relaxing day suits me. If your house and heart can accommodate two Pekes, however, we’ll enjoy the company. And if you have a safe environment for me to move from indoors to outdoors, I’d appreciate a doggie door. We’re a self-determining breed. Of course, we want to come and go as we please! Greyhounds are content to curl up on the couch when you’re not home. Photography courtesy Cyndi Swanson. An ancient breed famous for extraordinary speed, we also excel in relaxing on your couch. We’re affectionate, easy keepers. We do, however, need a chance to run in a fenced area since we instinctively chase moving creatures. 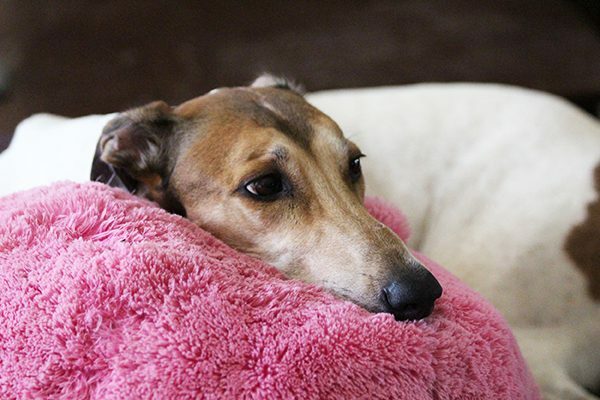 Many of us are retired racing Greyhounds who are hopeful for home life. With training and love, we transform from racers to relaxed buddies. Whether bred for racing or companionship, it’s quite remarkable how adaptable and easygoing we are in homes. Did I mention we have thin skin and little fat? We like your soft, cushy furniture better than the floor! 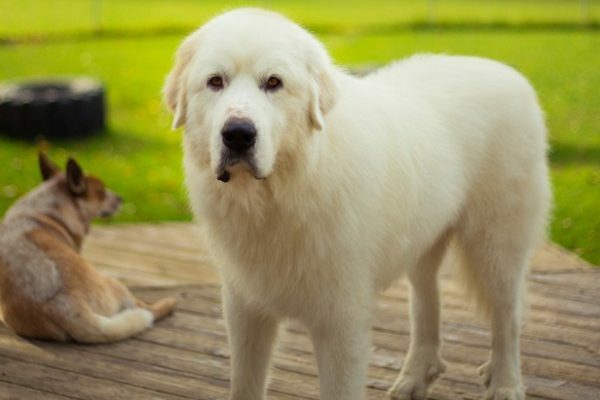 Great Pyrenees. Photography via Shutterstock. Used for centuries in southwestern Europe’s mountainous areas, I was bred as a sheep guardian dog. I often protected sheep alone, which explains my occasional skepticism about human commands. Though reserved with strangers, I take good care of my family. I also don’t insist on endless sports or activities. In fact, although I’m serious about my watchdog work, I like to simply nap with one eye open. Don’t let my large size fool you — I can jump to attention quickly if needed. I expect daily exercise, but I’m relatively calm indoors. All bets are off, though, if you leave me outside. I may bark at each new happening. And when you get home from work, I’ll want to walk with you, lean on you (yes, we do that!) and hang out with you. 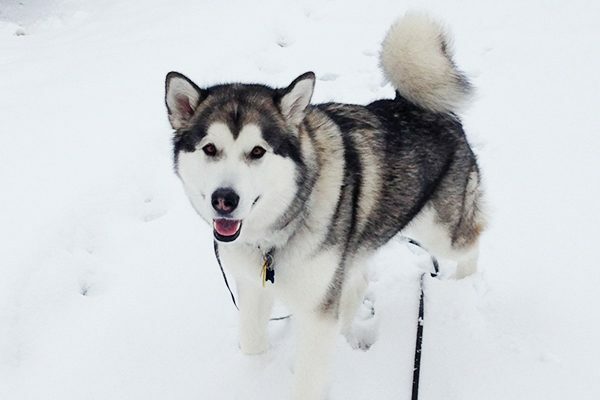 Alaskan Malamutes definitely need attention — but they don’t nag! Photography courtesy Beth Dulea. We’re the biggest Arctic sled dog, bred to haul heavy loads for Inuit tribes. We worked hard for man, often using our own judgment to assess ice conditions and determine safe routes. These days, we welcome time with you but we demonstrate a self-ruling spirit. We’re deemed playful upon invitation — that means we don’t endlessly nag for attention. We do thrive on outdoor exercise. May I suggest an extra outing on weekends, such as sledding or hiking? On workdays, if I have a walk or a romp before you leave, I’ll likely doze until dinner. Caveat: if you’re gone too long (or forget to walk us! ), we may howl our disapproval. 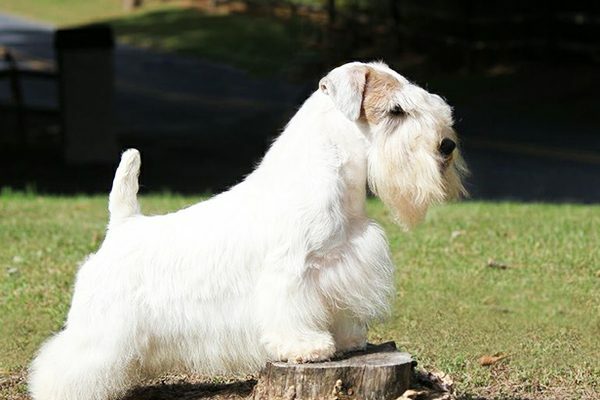 Sealyham Terriers aren’t an overly demanding breed. Photography courtesy Sandy Schneider. We’re inquisitive and self-confident, but not overly demanding. We were developed in Wales for hunting, following our prey even underground. My forefathers were bred by Captain John Tucker-Edwardes to hunt fox, rats, badgers and rabbits. In time, our companionship was as valued as our work. We shared our lives with Hollywood celebrities such as Cary Grant and Humphrey Bogart. Today, we’re a comparatively rare breed, eager to bond with families. We expect walks, attention and chances to explore our worlds, but when we’re indoors we’re relatively calm. Now, for weekends, may I suggest a Barn Hunt? Thumbnail: Photography courtesy Sandy Schneider. The post 5 Dogs Who Can Be Left Alone While You’re Away at Work appeared first on Dogster.